Designed for indoor staircases of any length with no curves or landings, the Elite stair lift has all of the comfort and reliability of the Elan, but with a higher weight capacity and a range of stylish color options. 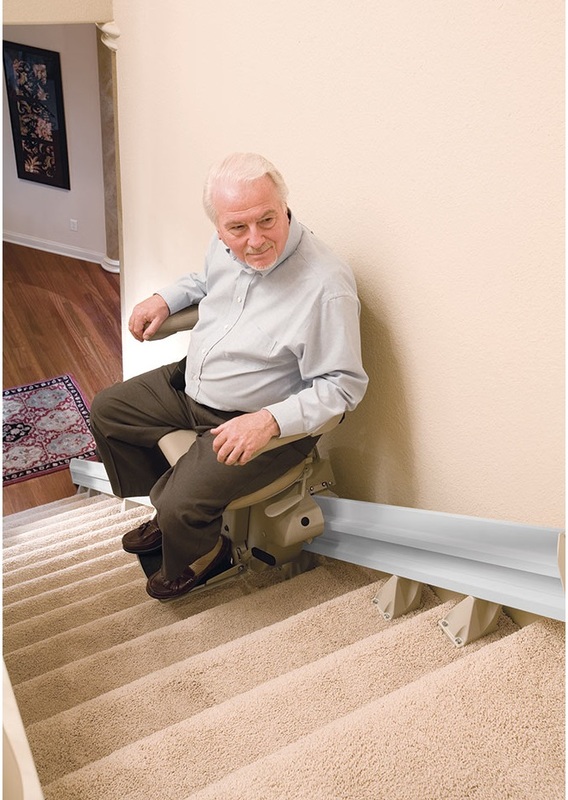 Timely stair lift installations to accommodate your schedule. Rails are mounted to the treads of the stairs and do not require a wall for support. Removal of the unit and track leaves minimal footprint. Stair lift buy back program available.